Do you ever wonder what the hawks and turkey vultures see as they glide high above us on thermals? 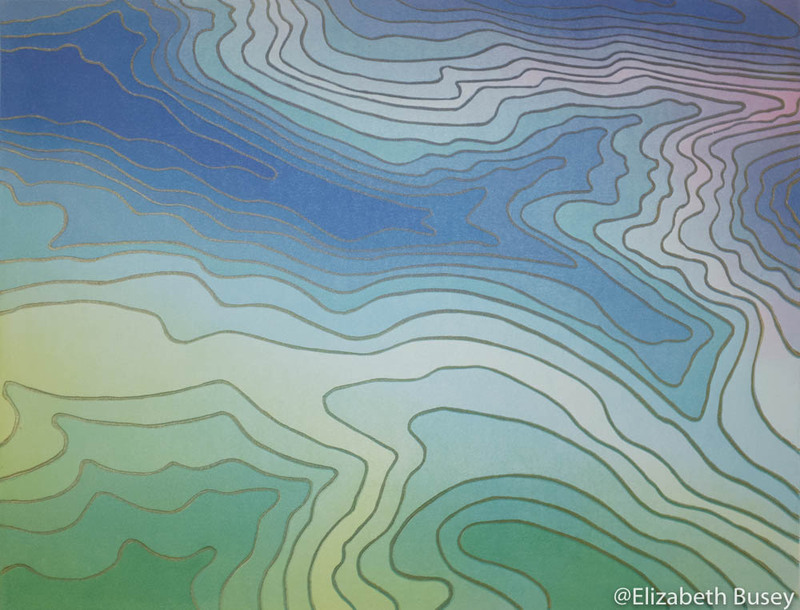 This linocut blends my love of aerial views and topographical maps to image what they experience. Read my blog here to see some preliminary steps used to create this work.